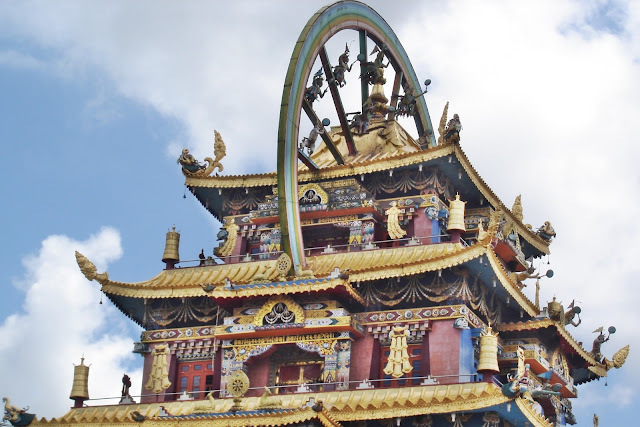 Tibetan Golden Temple, Bylakuppe, around 80 kms. from Mysore, Karnataka, India. The location is a settlement for Tibetans, which India provided them when they fled from China.